With rotting jack-o-lanterns awaiting the weekly garbage pickup, it’s time to turn our eyes to the next big national holiday: the day after Thanksgiving, when Americans will (our leaders hope) flood the malls to start buying Christmas presents. And while they’re shopping, if they should happen to need a DVD or Blu-ray to get them in the Christmas spirit, they’ll find plenty of movies and holiday specials already waiting for them. This week sees a huge haul, including stuff for the kiddies (courtesy of Fraggle Rock and The House Of Mouse), stuff for TV addicts (such as the collection Merry Sitcom! ), and stuff for people who don’t want to see any movie made before 1985. (Those folks can cozy up to new Blu-ray editions of National Lampoon’s Christmas Vacation and Love, Actually). 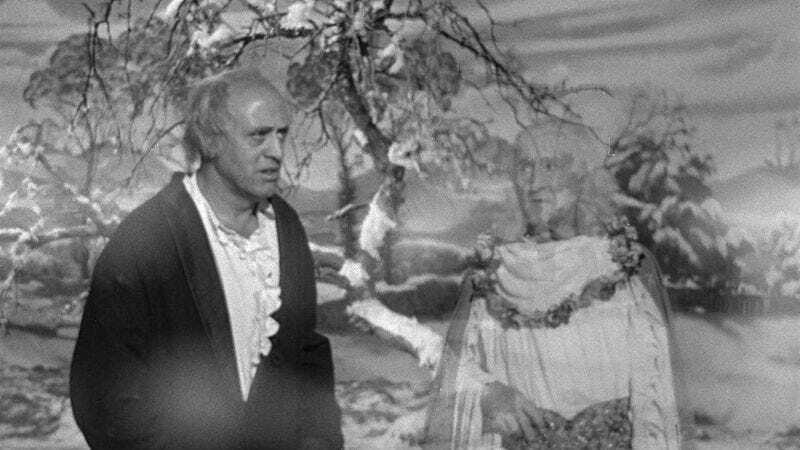 But this week is especially kind to fans of classic Hollywood yuletide fare, who can dig into the quartet of films on the budget-priced TCM Greatest Classic Films Collection: Holiday, or can enjoy new Blu-ray editions of It’s A Wonderful Life and the 1951 version of A Christmas Carol. Though it arrives just after Halloween, there’s more of gravy than grave about this week’s list.